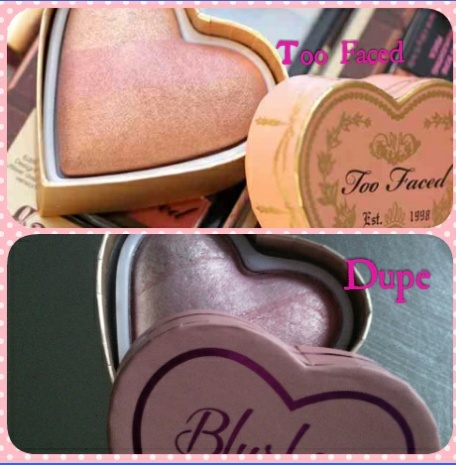 Too faced sweetheart blusher dupe!!! 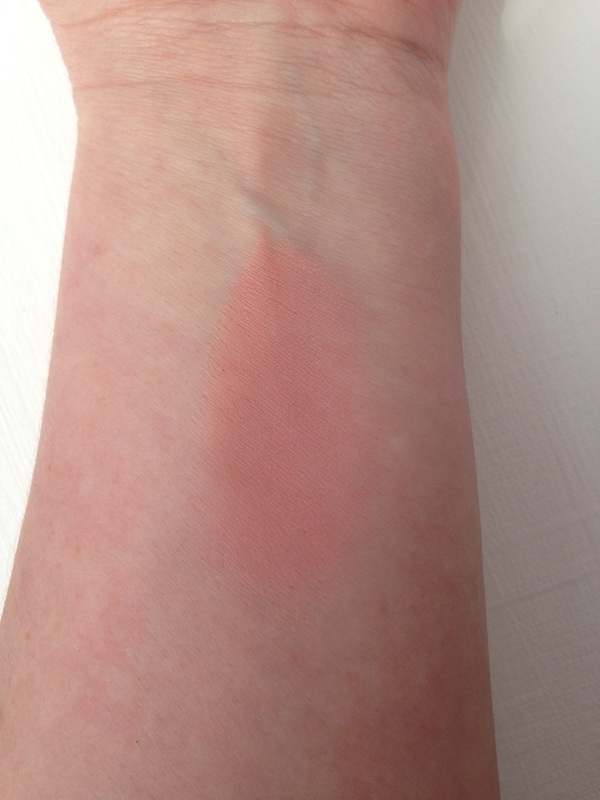 I recently found a fantastic dupe for the Toofaced sweetheart blusher in shade ‘Peach beach’ . 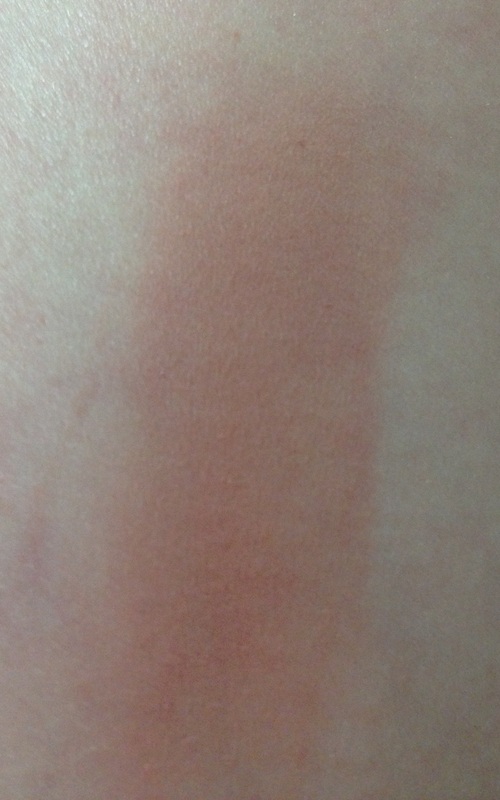 I got the shade ‘Peachy pink kisses’ and loved it more or less straight away! 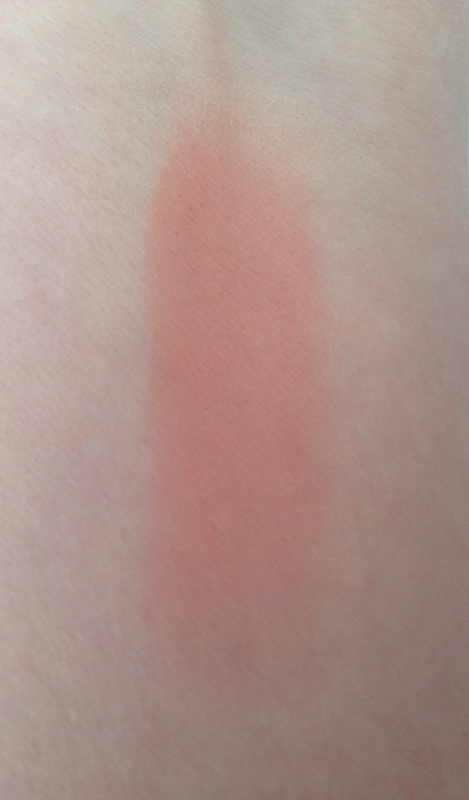 I’ve only ever swatches the toofaced blusher in a department store but I can say the photos don’t do their similarities justice! 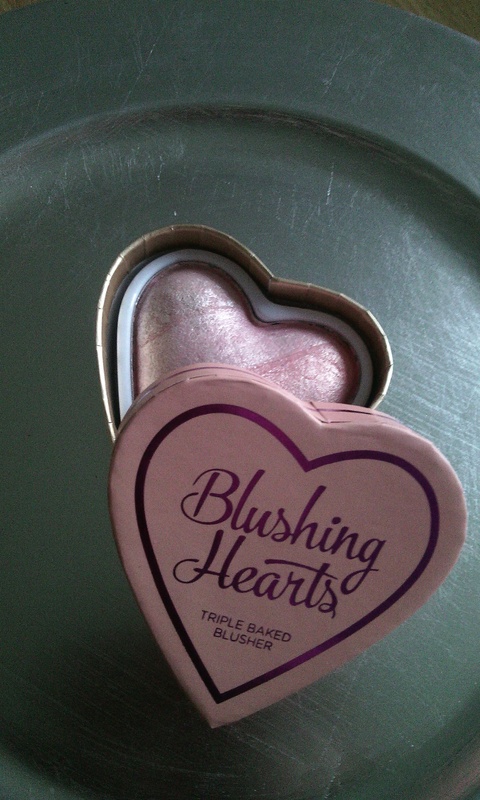 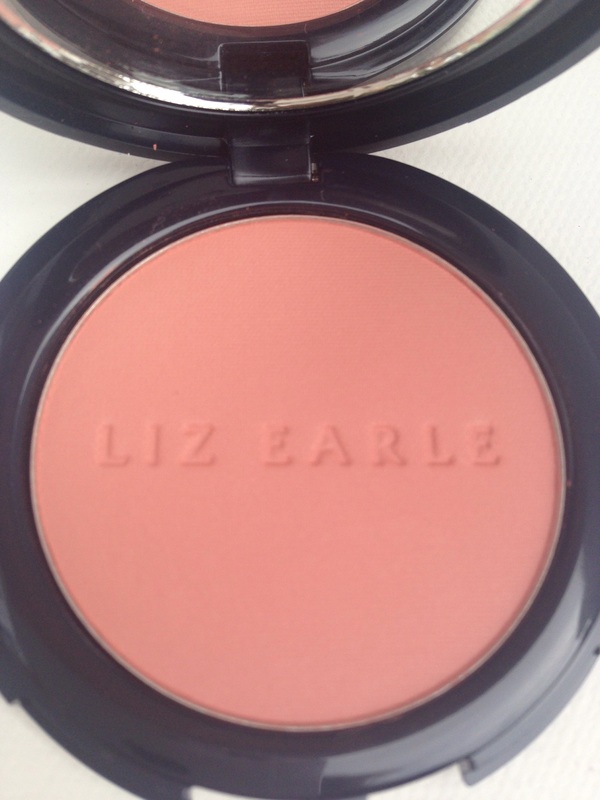 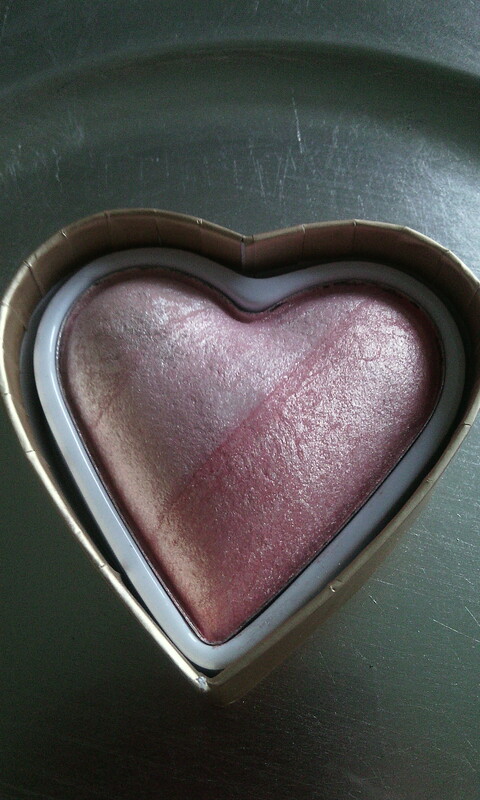 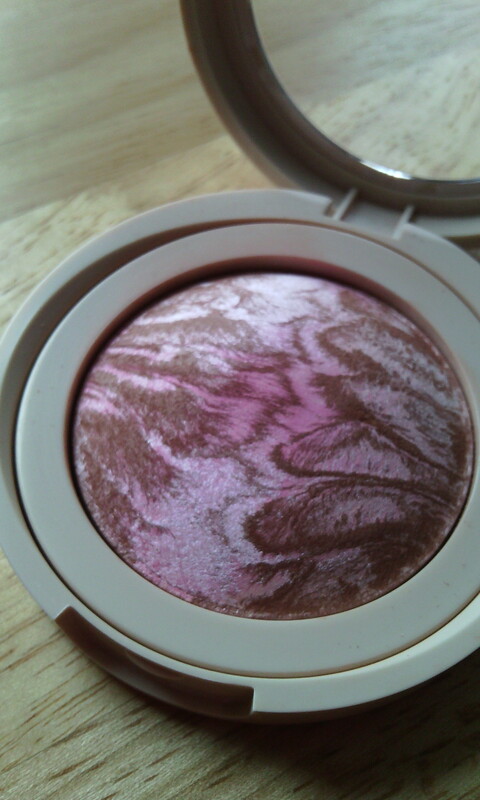 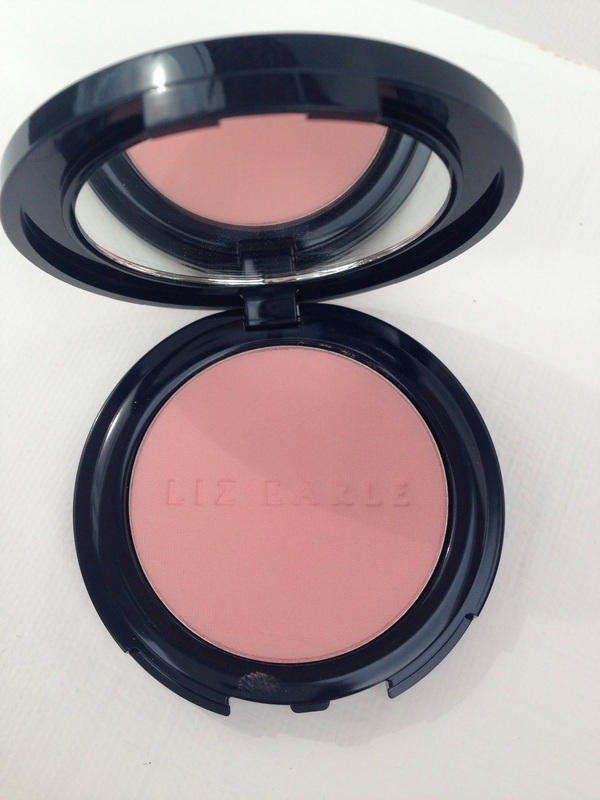 This powder blush is in the shade Blush Baby and is £18.00 for 6g. 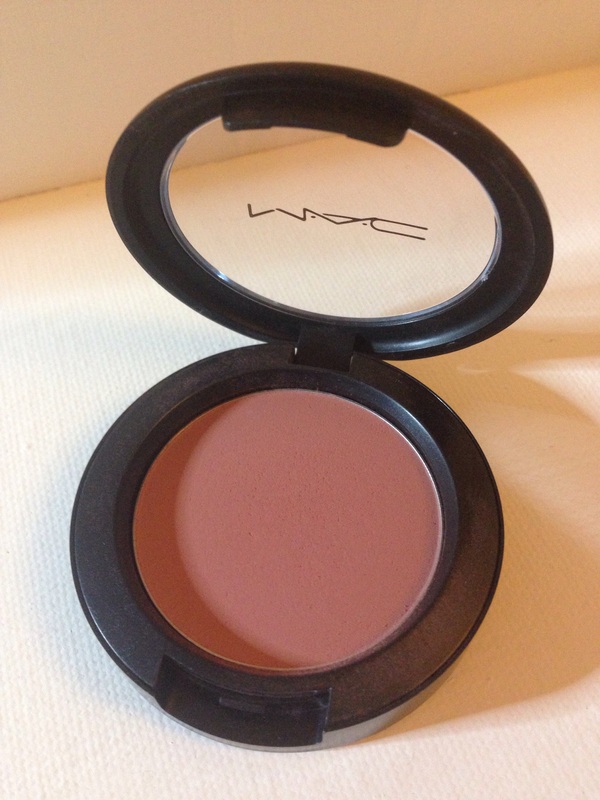 As with all Mac colours it’s highly pigmented but is buildable. 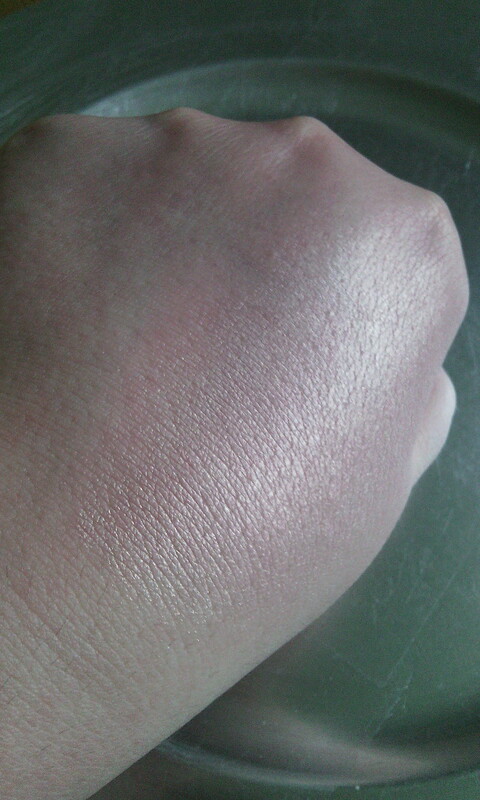 I’d still go easy with it though, especially if you’re fair skinned like me. 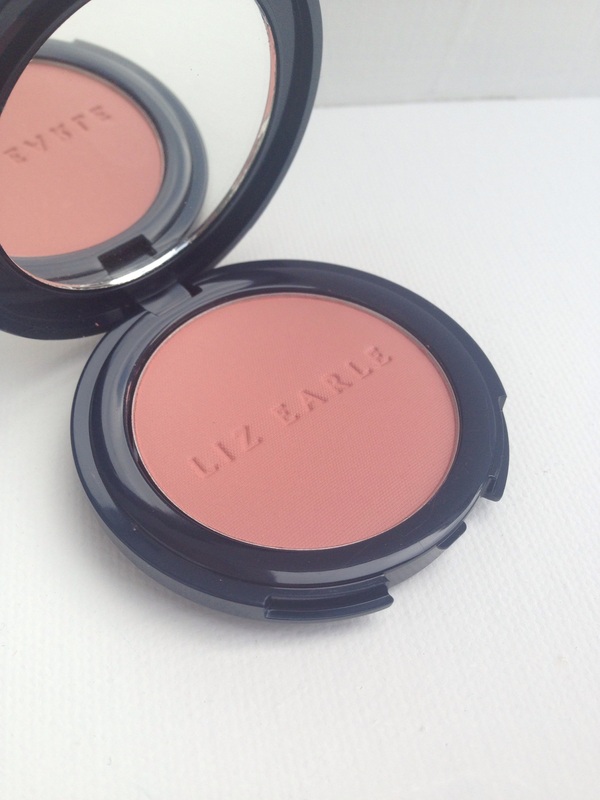 It’s a dusky rose kind of shade and quite deep in its shade. 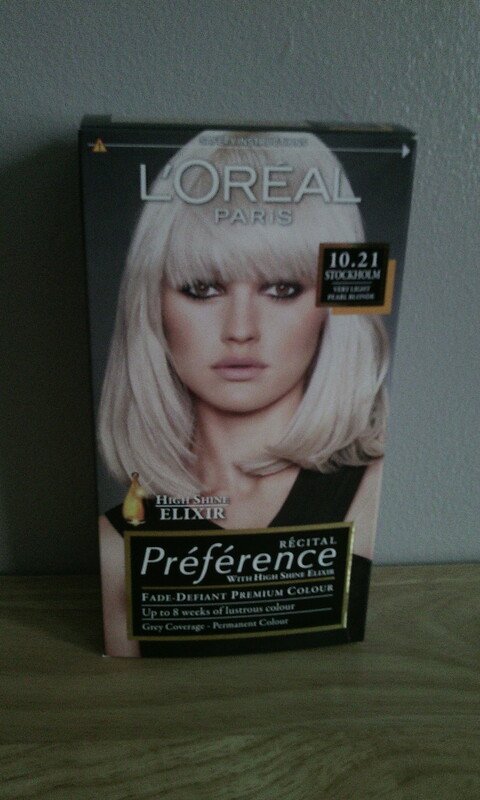 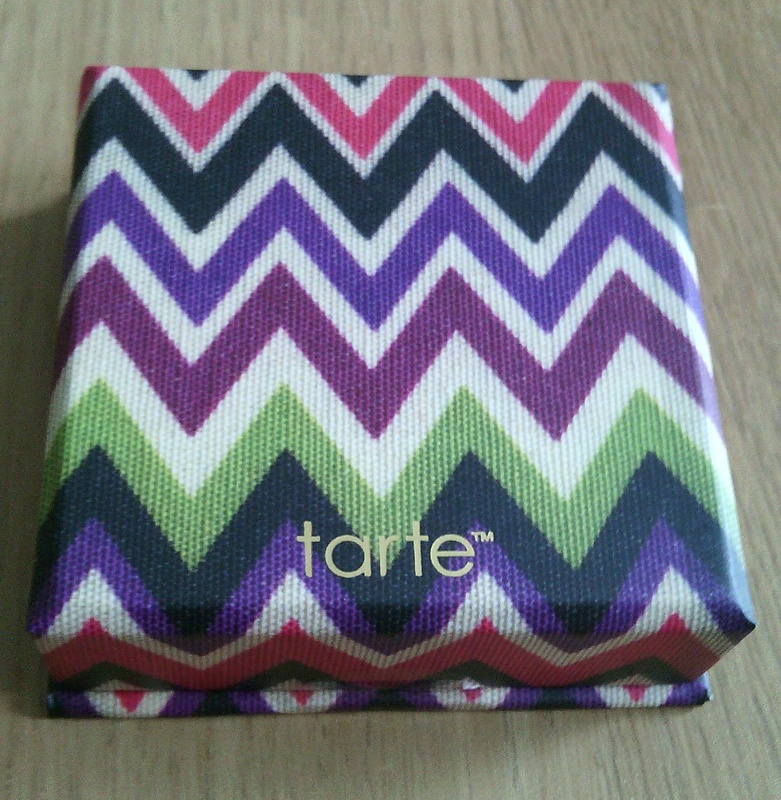 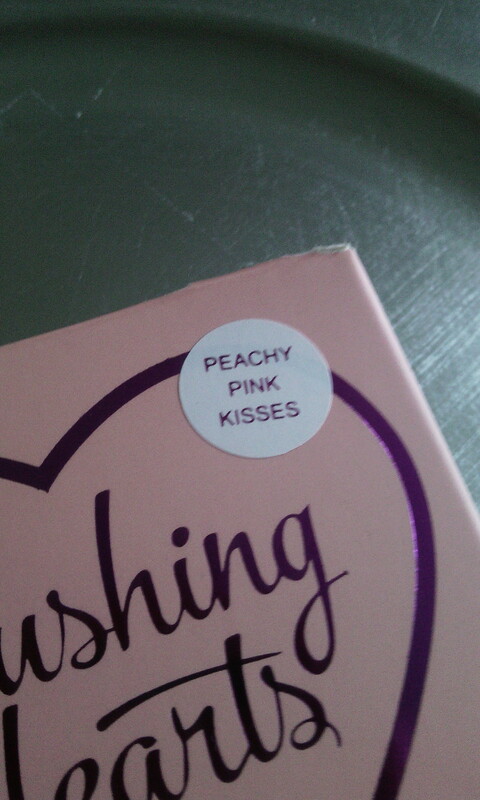 I think the name suggests that it would give a soft pinky cheek effect, but make no mistake, this is a serious colour. 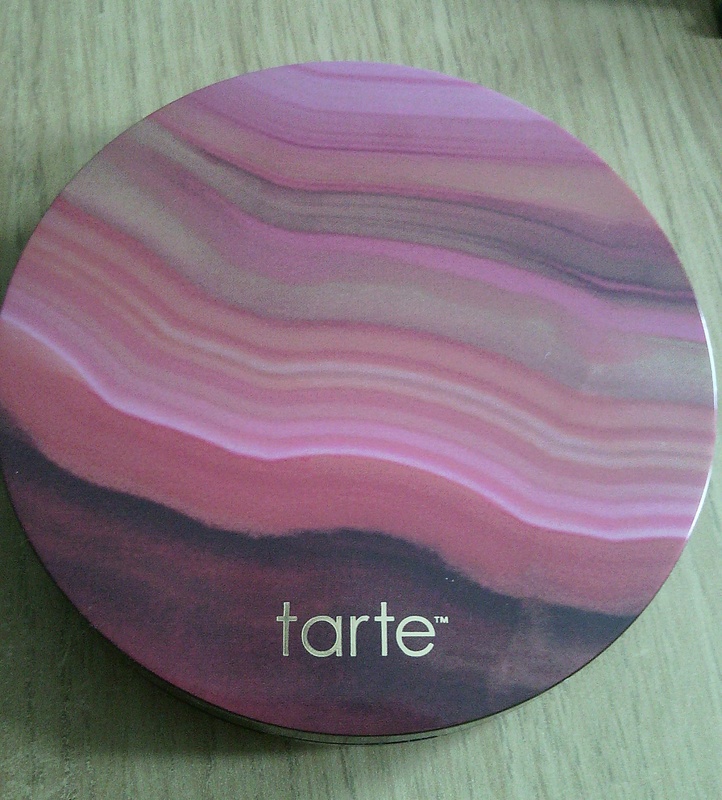 Too much and you’ll look like you’ve just done a 10 mile run, but a couple of swirls with your brush and you’ll get a healthy looking sheen. 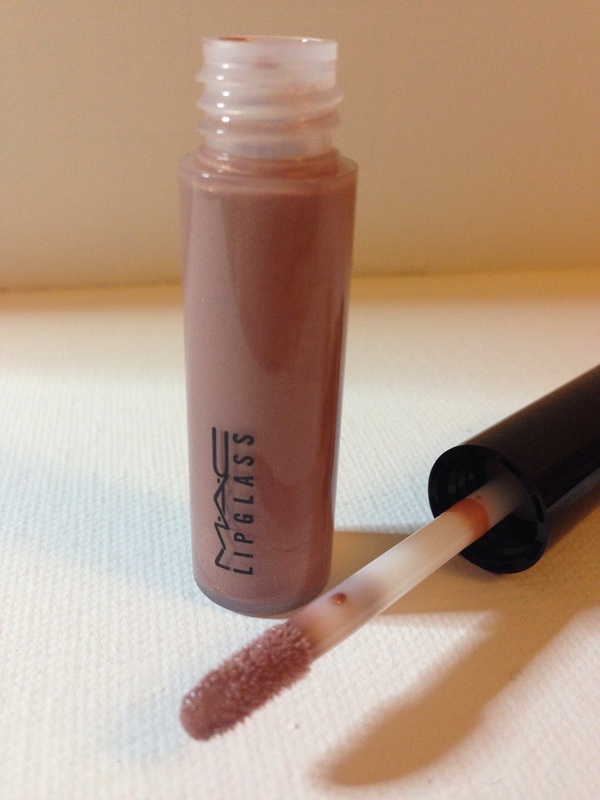 This lipglass is £14.50 for 4.8g. 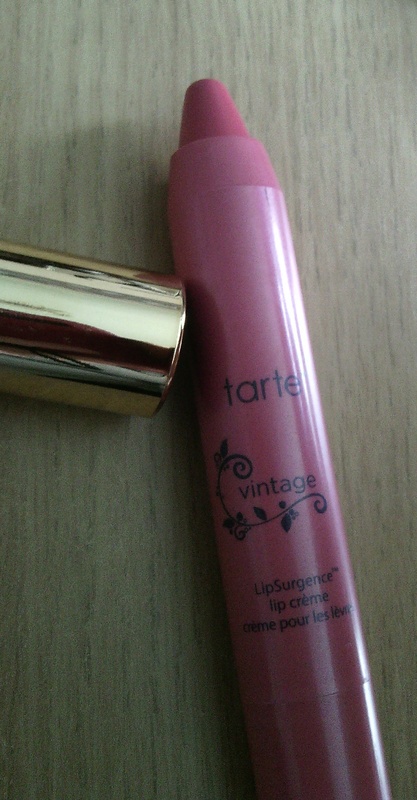 Not massive compared to the more standard sized 8/9g lip glosses out there but what can you do when you love a colour! 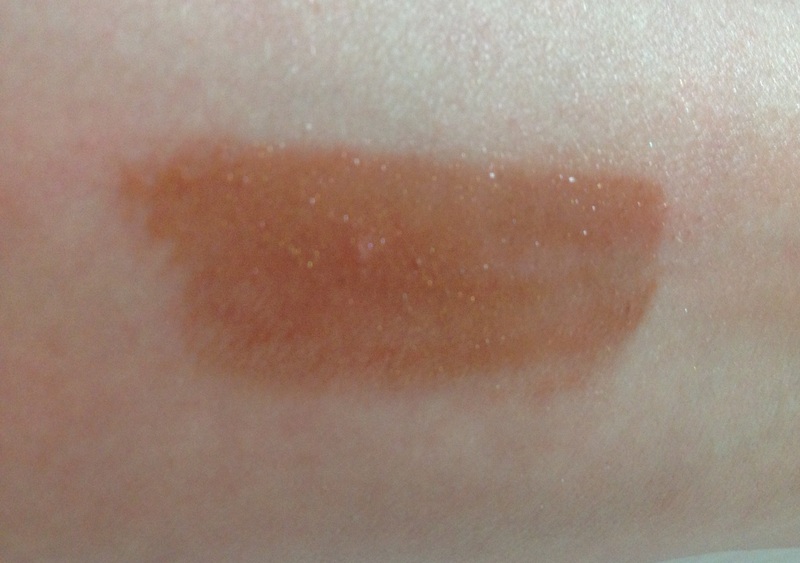 Unlike the Viva Glam V lipstick, which I think is more of an equal pink/brown hue, the matching lipglass is more towards the brown spectrum. 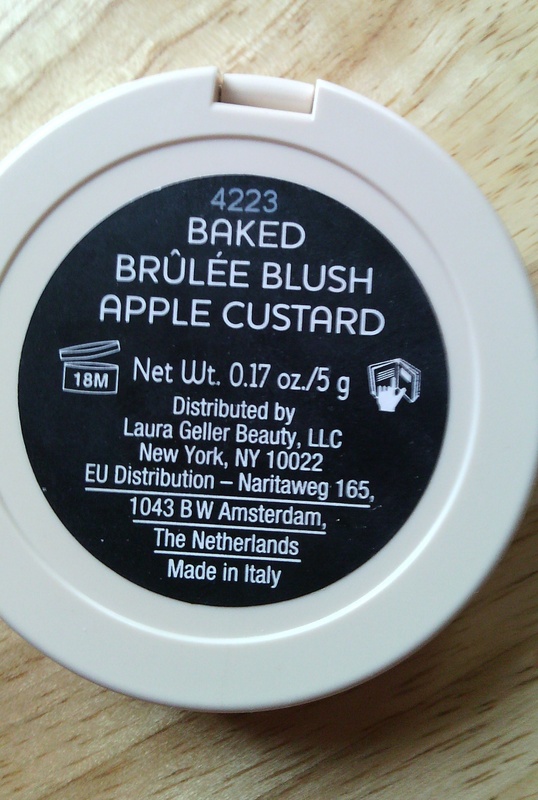 It’s slightly darker than its lipstick sister so obviously gives a bolder look and definitely does when paired on top of the lipstick but it’s still a colour I love. 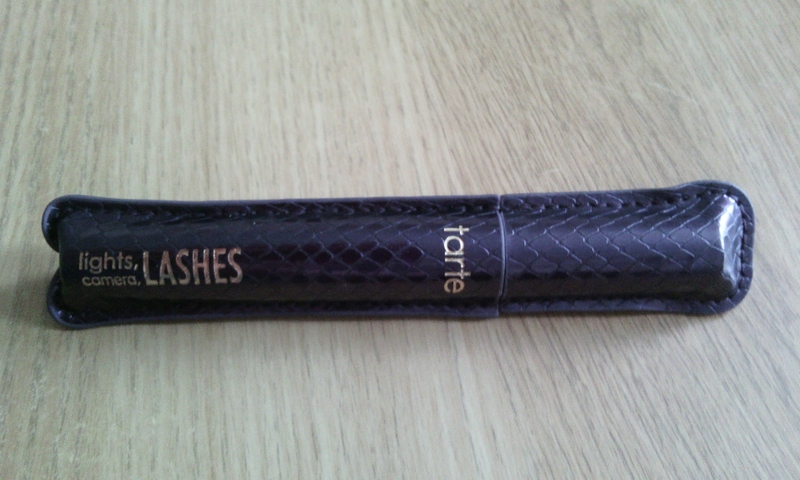 I just go easy on this because they’re more of my everyday shades I wear for work. 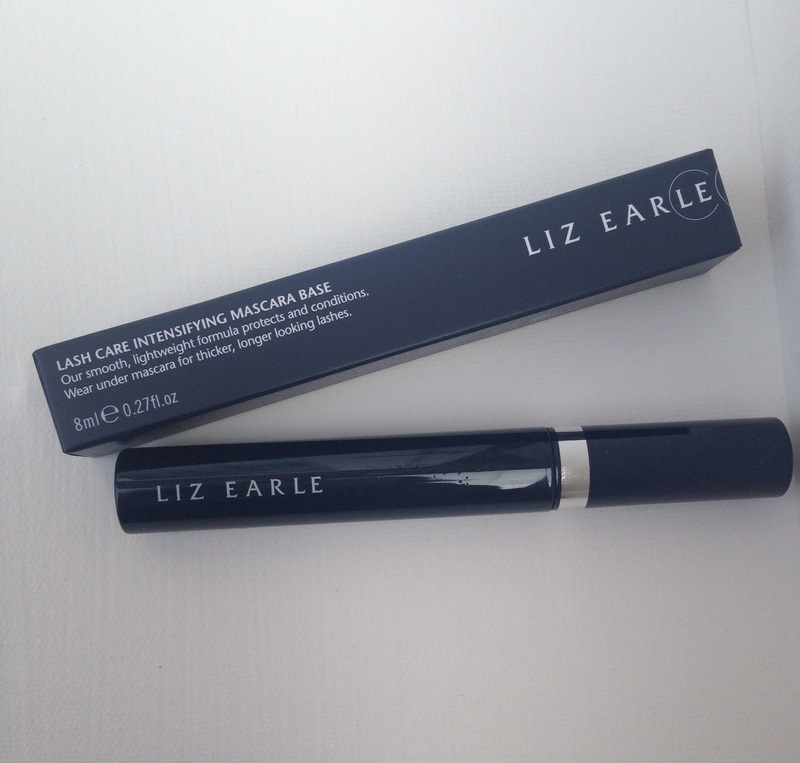 This is £12.50 for 1.4g and lasts forever! 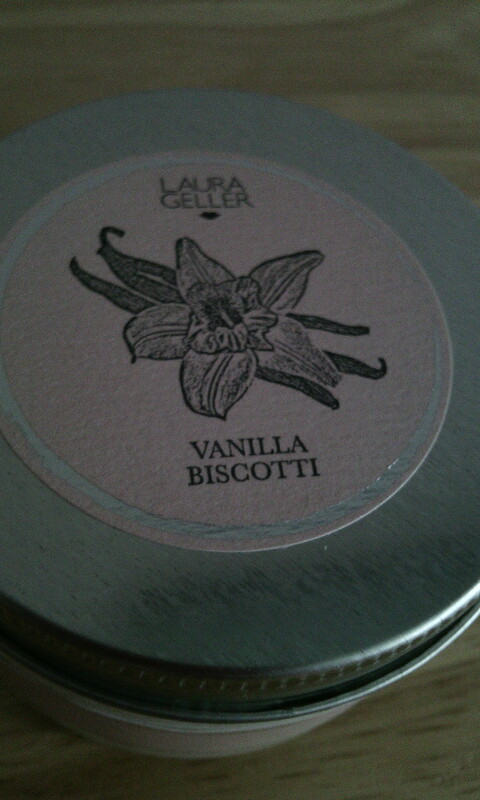 It’s well worth the price. 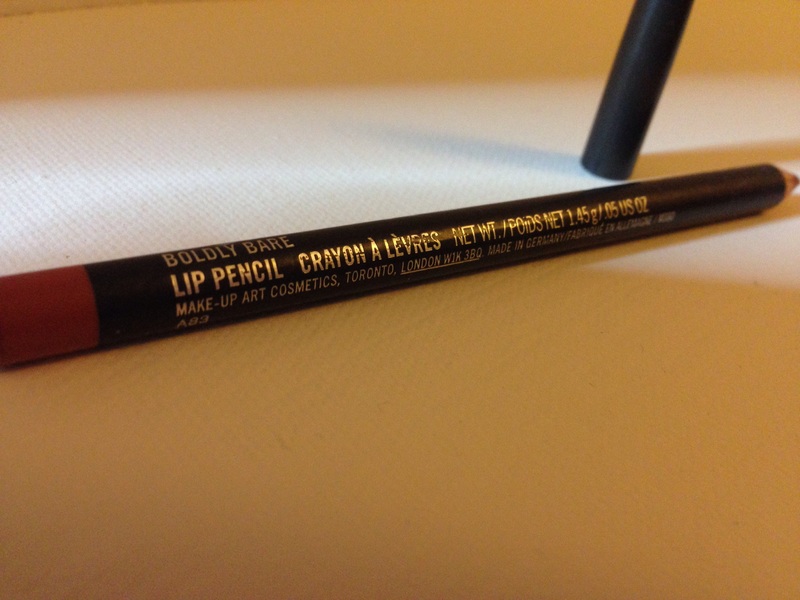 Soft on the lips, no drag, yet never breaks off when sharpening. 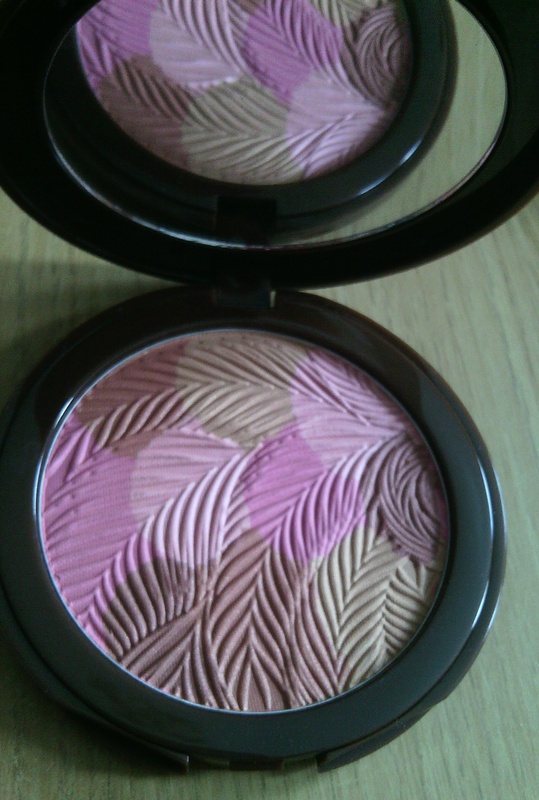 I love the deep rose, almost brown colour. 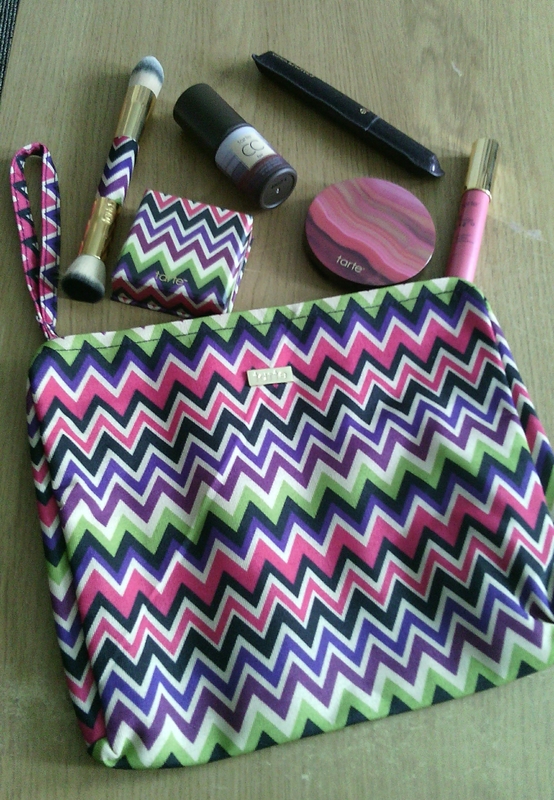 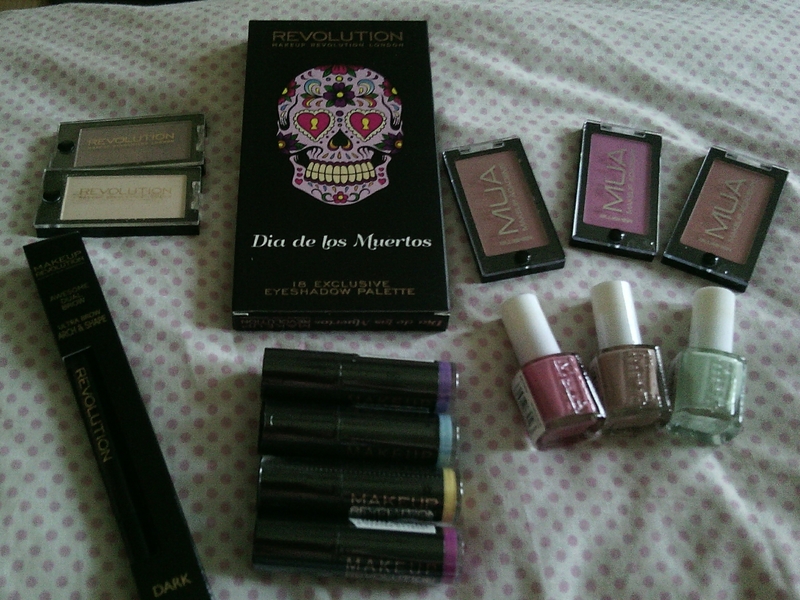 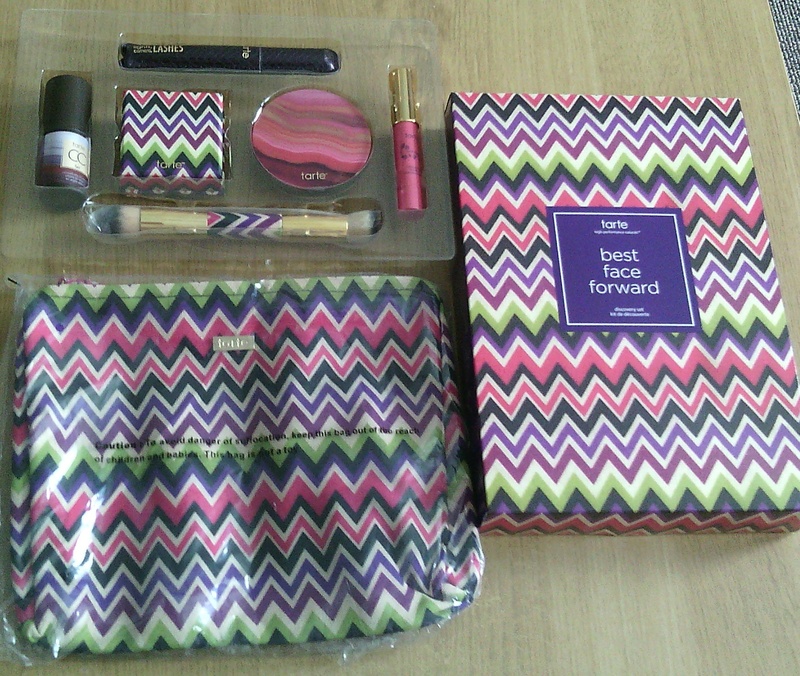 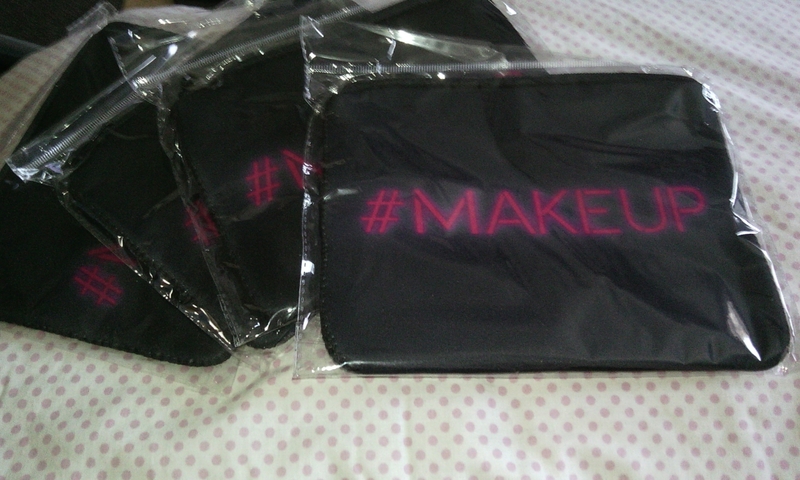 It goes with so many of the Mac lipsticks and glosses! 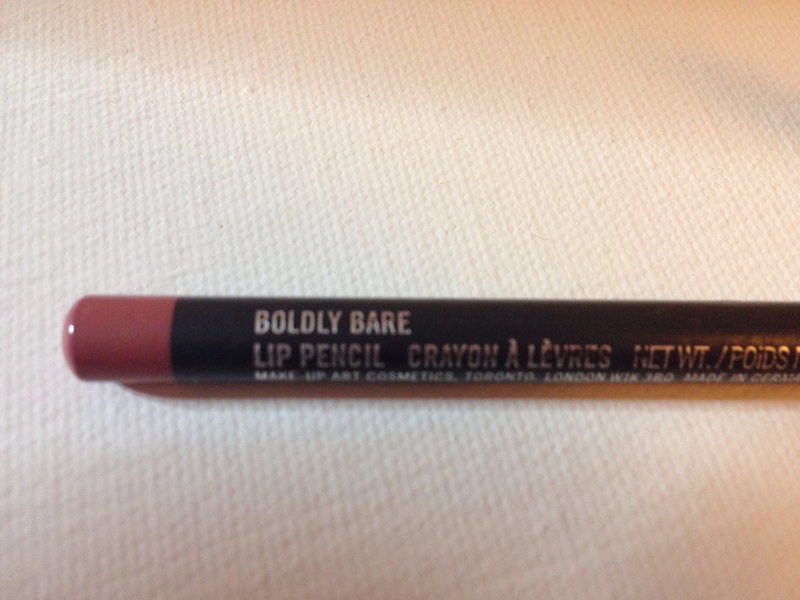 If you like the pinky browns you simply cannot go wrong with Boldly Bare. 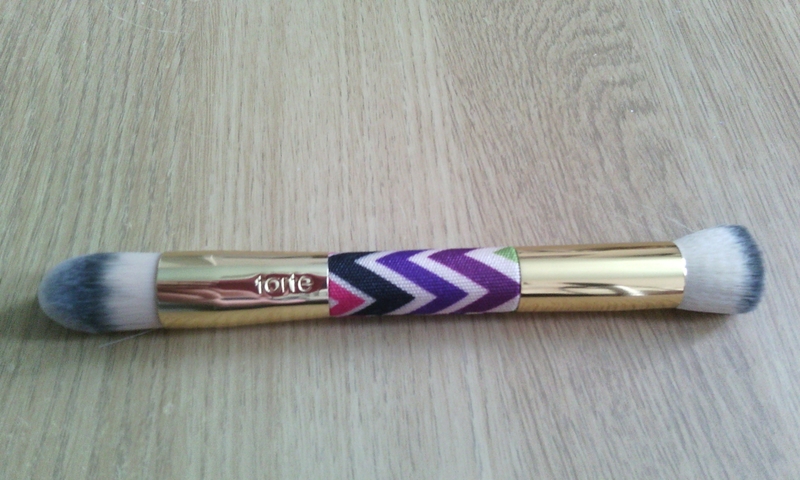 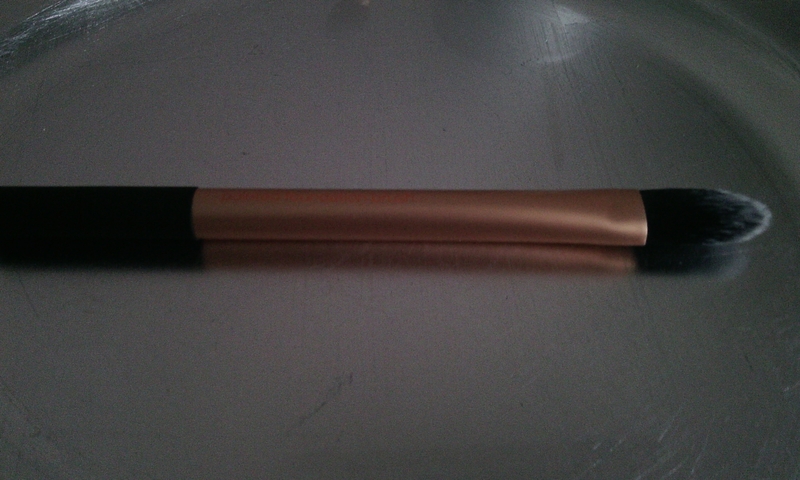 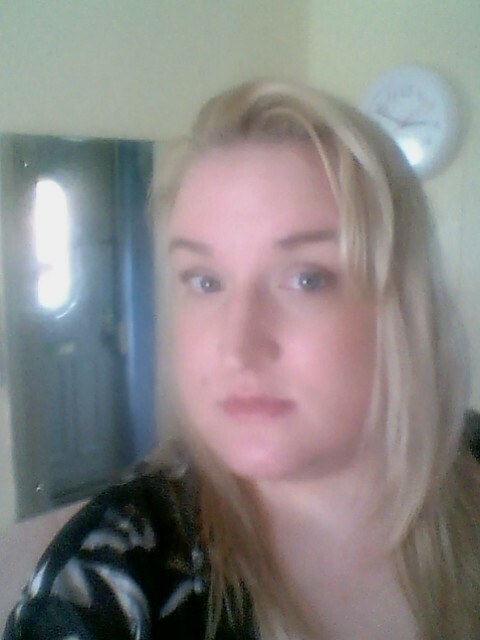 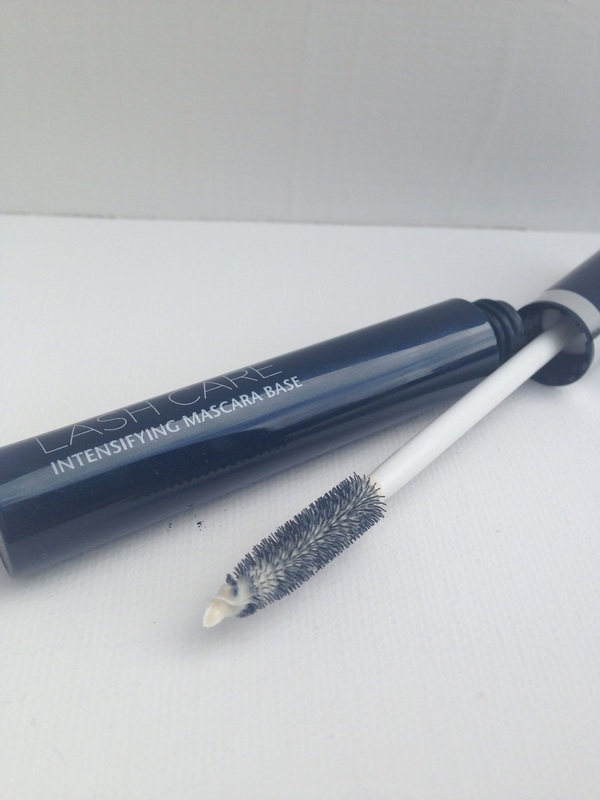 It wears very well, probably longer than the lipstick or gloss does but isn’t drying on the lip line. 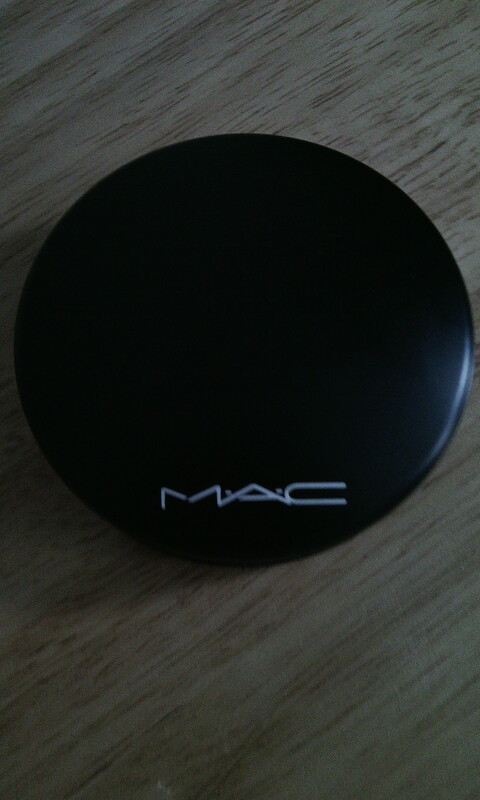 I do love a Mac liner! 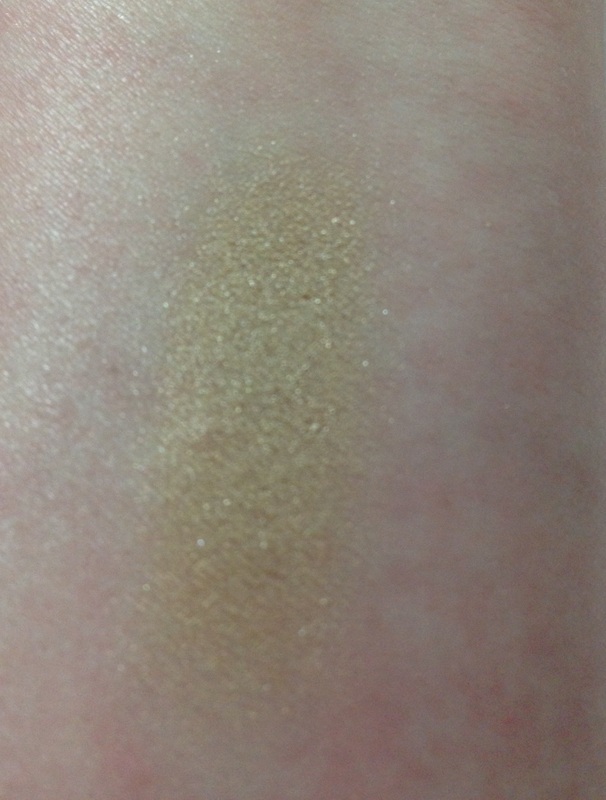 Retrospeck is a beautiful lustre that can be as light or dark as you want it. 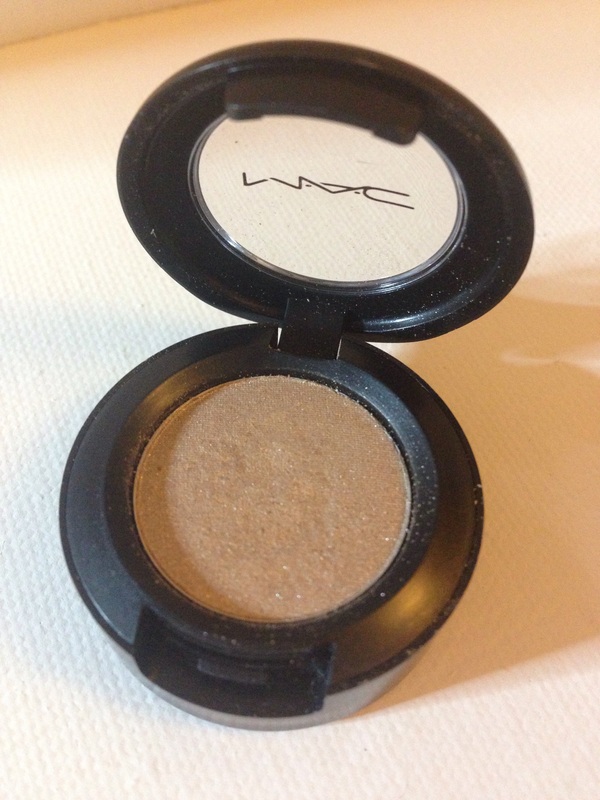 It’s a good pigment but you do have to build it up if you want a strong colour on your eyes. 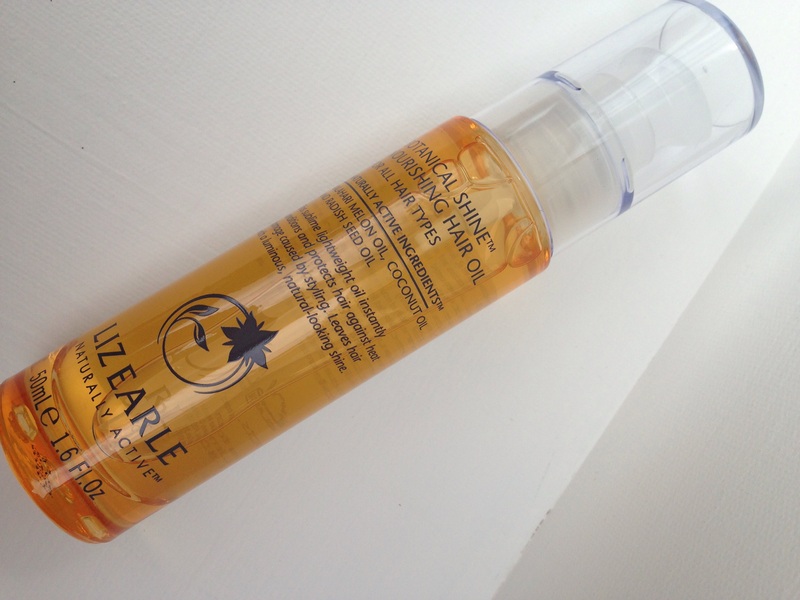 The Prep+Prime Fix Spray. 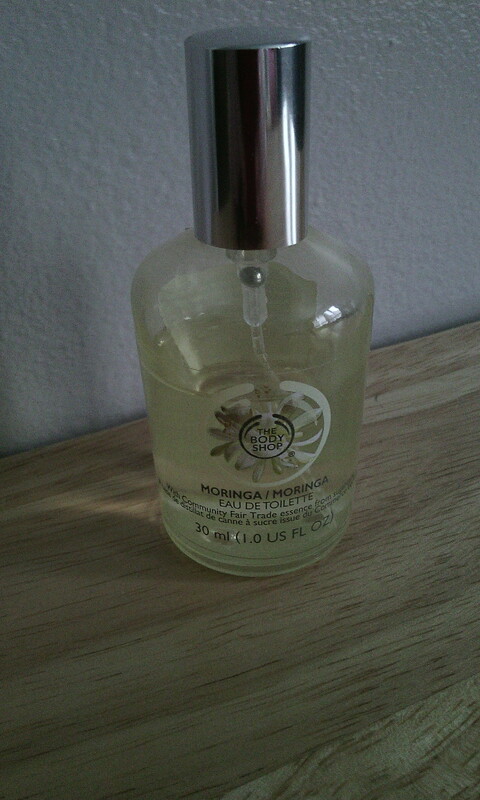 £15.50 for 100ml, another one that lasts a long time. 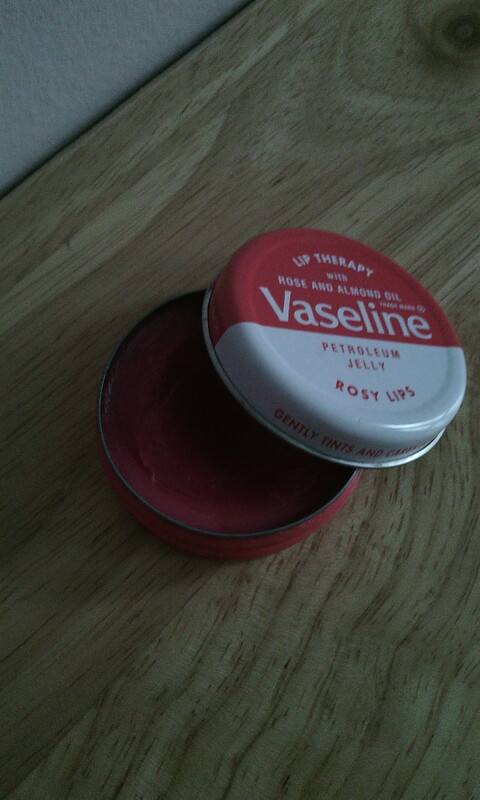 While this doesn’t break me out, sometimes it’s a tad too much for my greasy skin. 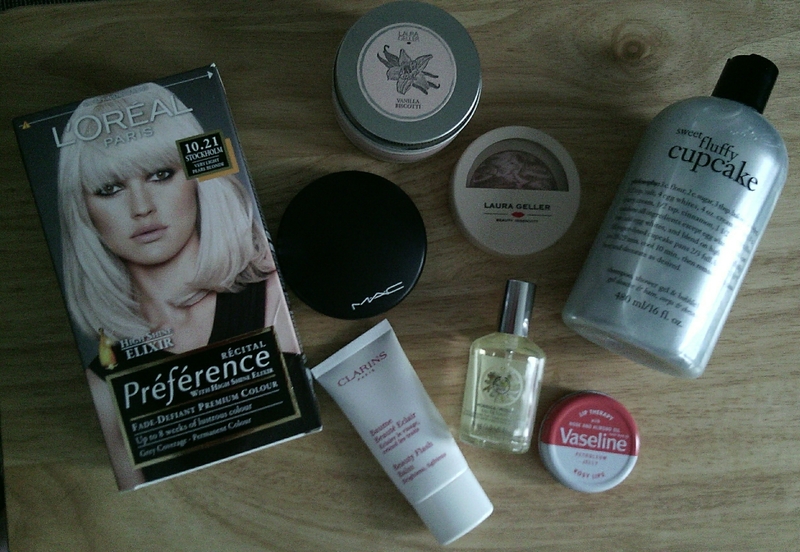 I find that it’s better to use during the winter months rather than right in the middle of summer otherwise the dewy look you might be going for could end up being more of the oil slick look All in all though this really does do what it says and ‘fixes’ your look, for how long though just depends on your skin type I guess. 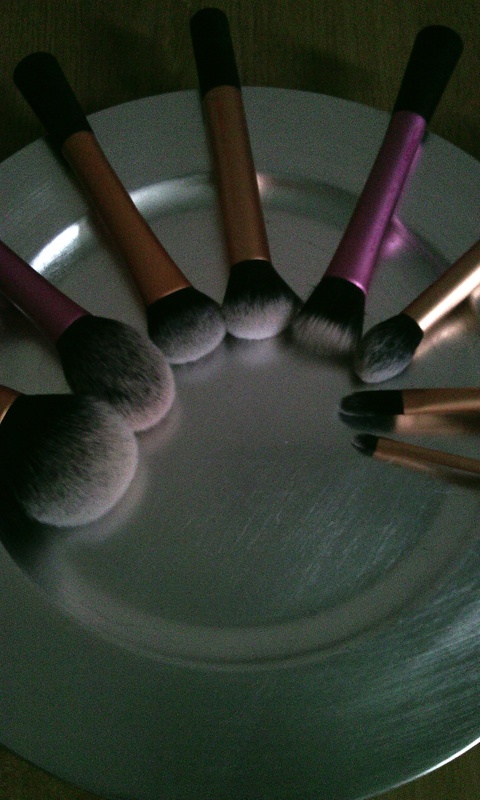 Today I’m reviewing my small collection of Real technique brushes. 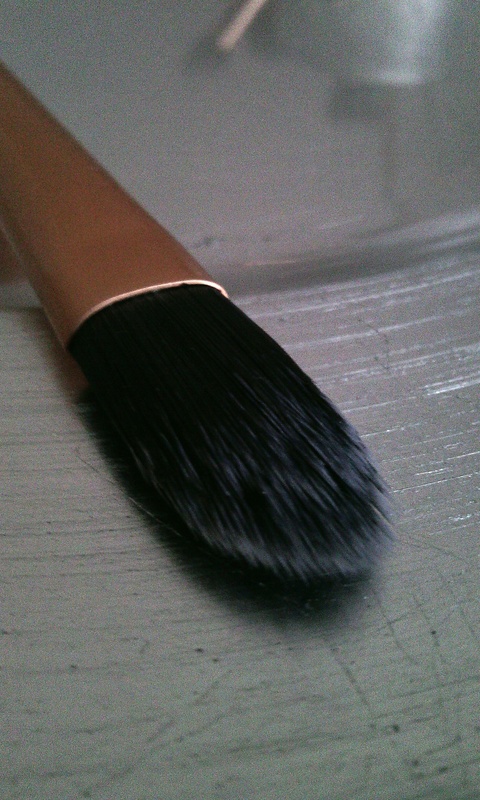 These brushes are pretty amazing to say the very least! 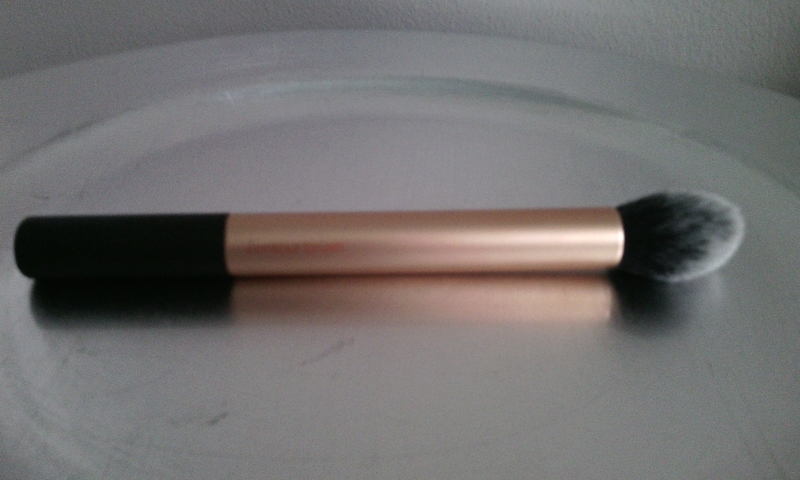 I’ve read so many reviews claiming they are as good as MAC brushes and I have to agree..I’ve had brushes for £20 more with a lot lesser quality. 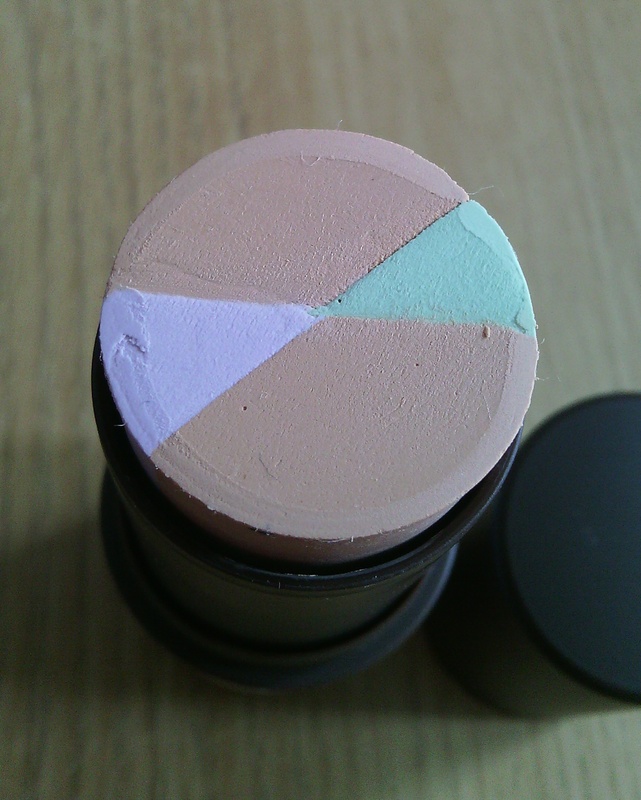 They are dense synthetic soft brushes with a sleek standing up design, they apply make-up with ease and pick up colour well plus due to their denseness they don’t waste product. 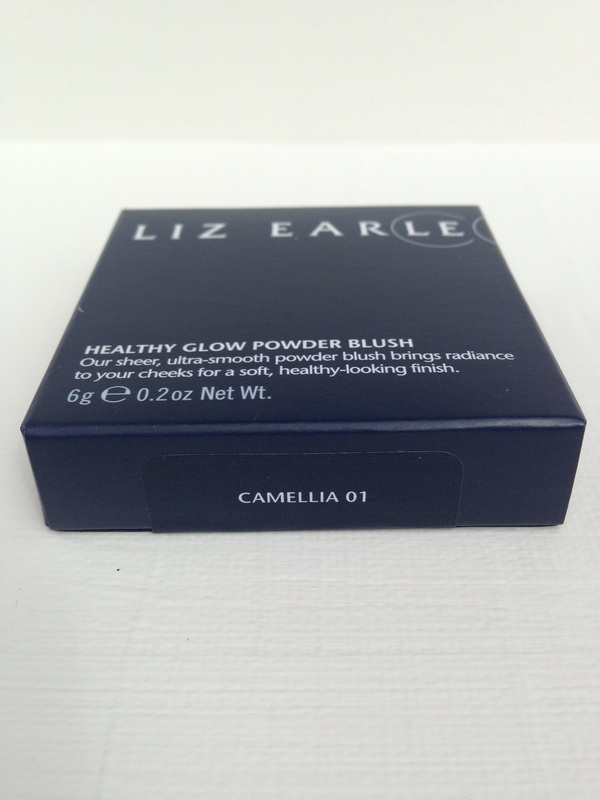 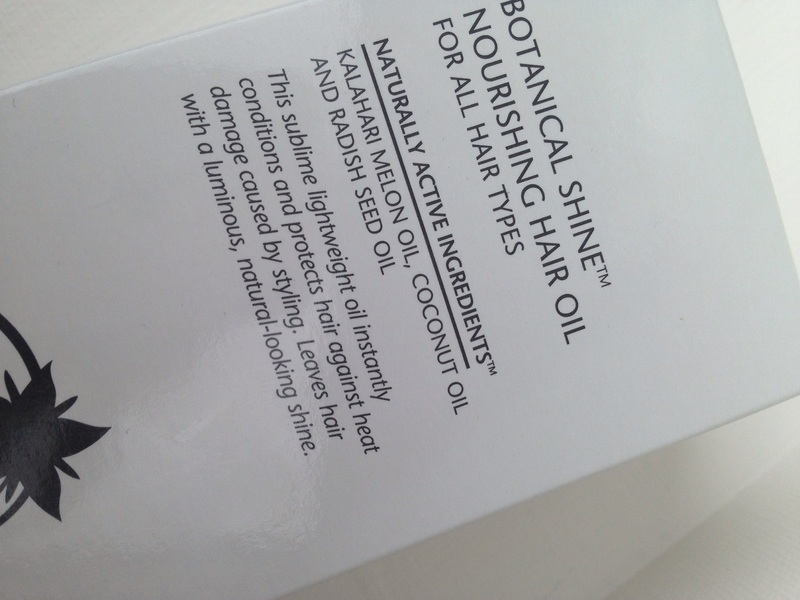 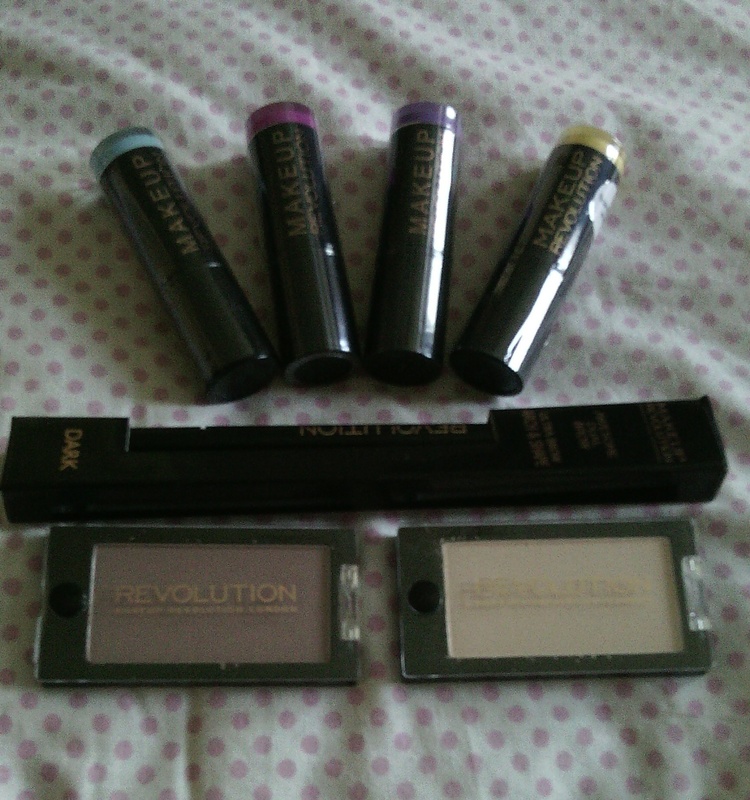 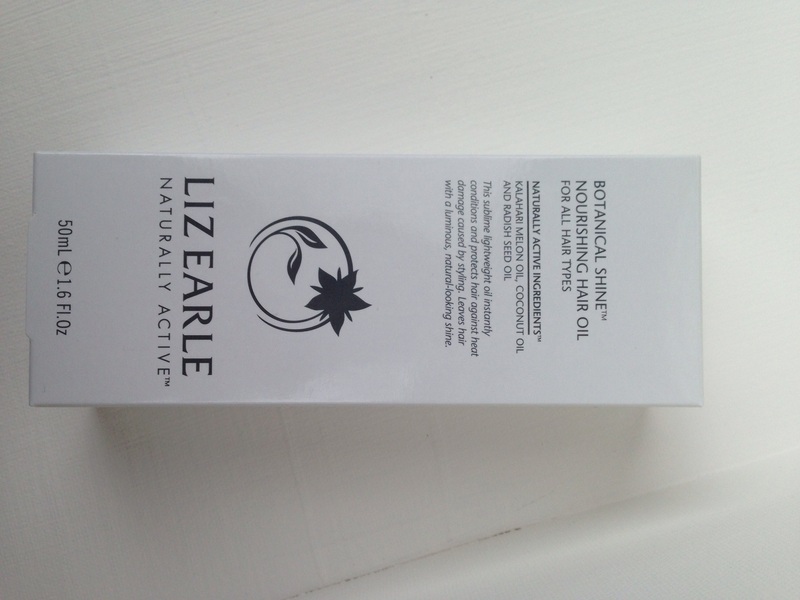 They are created by YouTube Vloggers ‘Pixiwoo’ and are available at Asda, Superdrug and Boots. 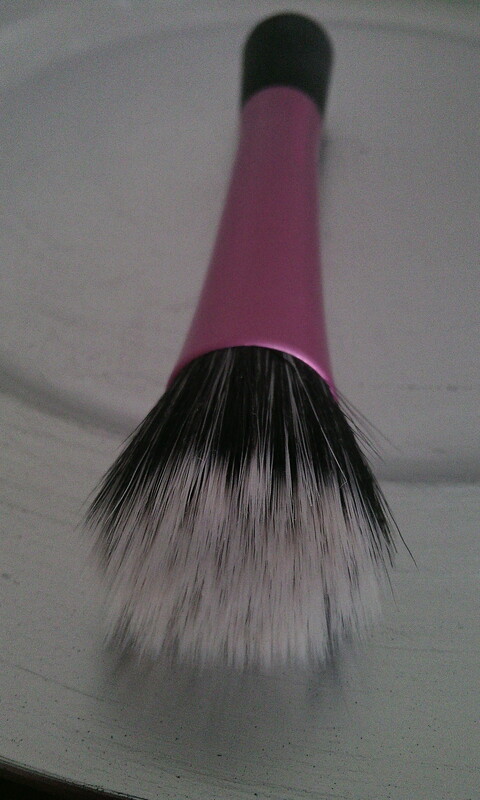 I bought the brushes last year from Asda (They had them on a special ‘Try me’ price). 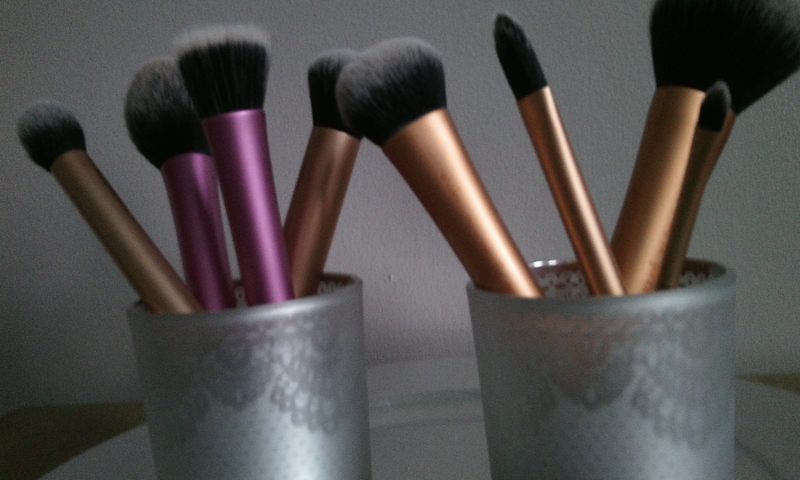 They range in price depending where you purchase them from but generally the single brushes are £5-12 and core collections up to £30. 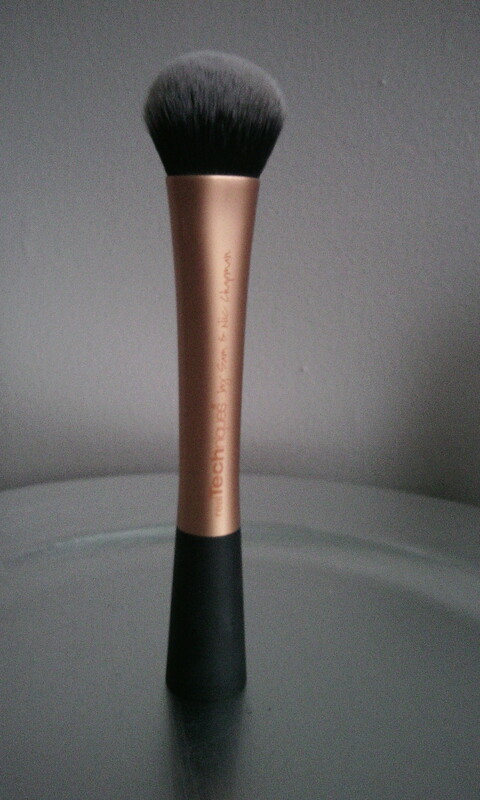 I use the brush to apply liquid foundation, i apply a small amount to the brush head and buff in circular motions on my face for full coverage, really working it into the skin, I find a little goes a long way. 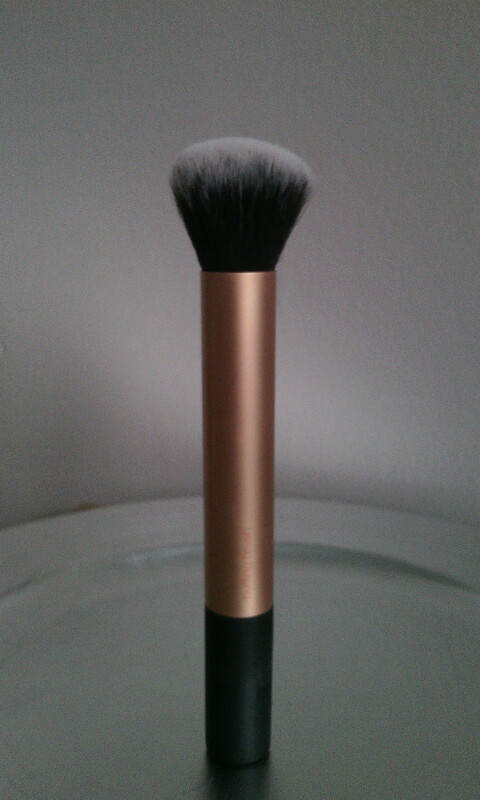 I use this brush to apply powder blushes/highlighters and it’s a great brush to precise a strong contoured look. 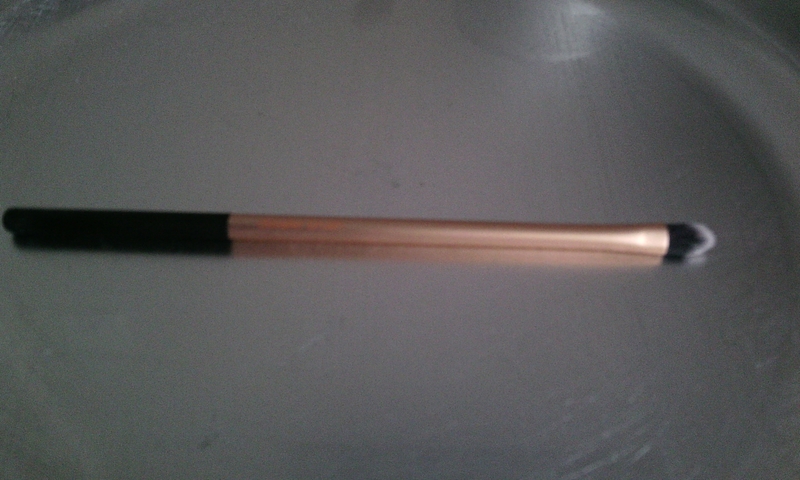 I find this brush too small and flat to apply foundation, I prefer buffing brushes however I use this to apply my concealer to my under eyes. 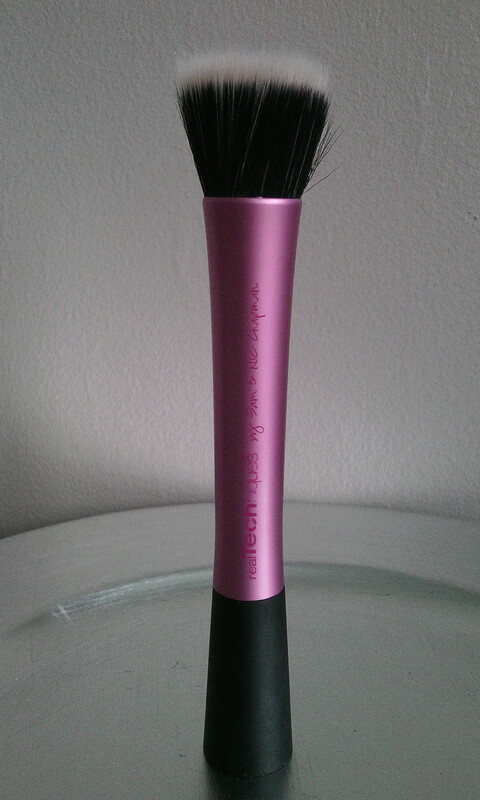 Great little brush for precise work like concealing smaller areas and precising a bold lip colour. 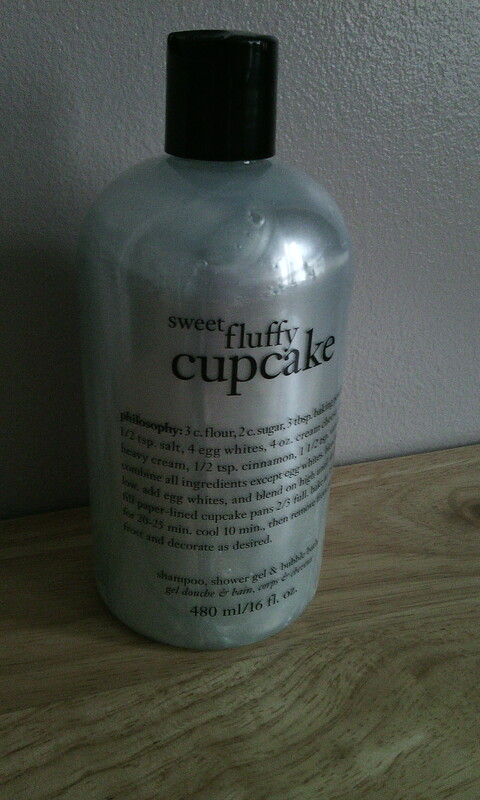 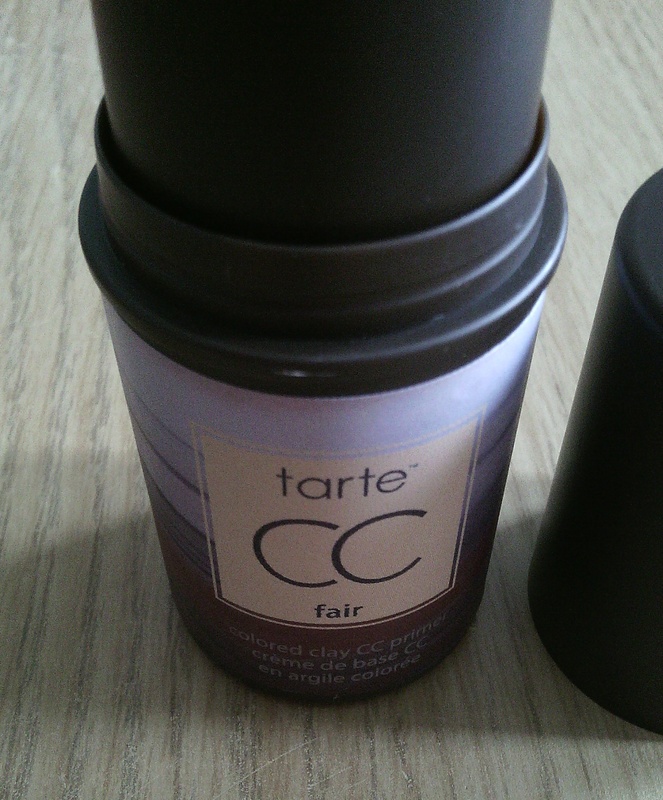 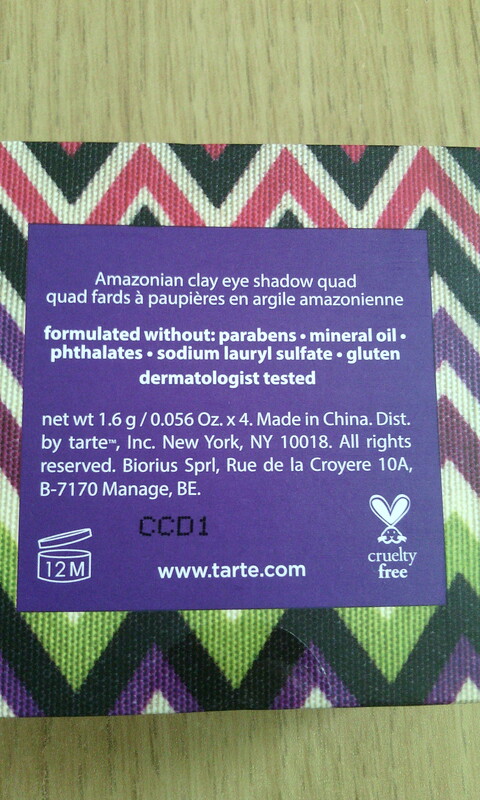 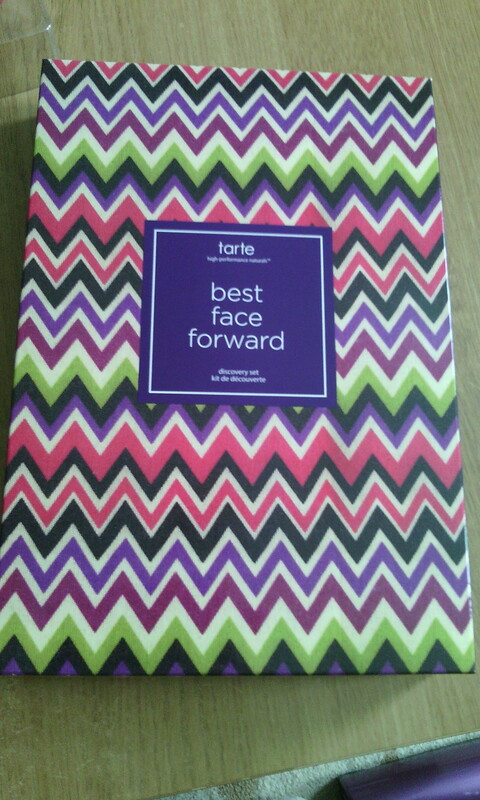 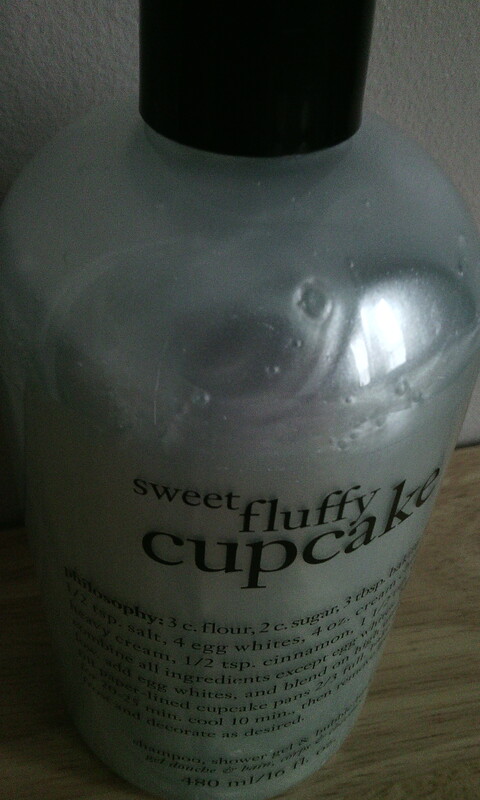 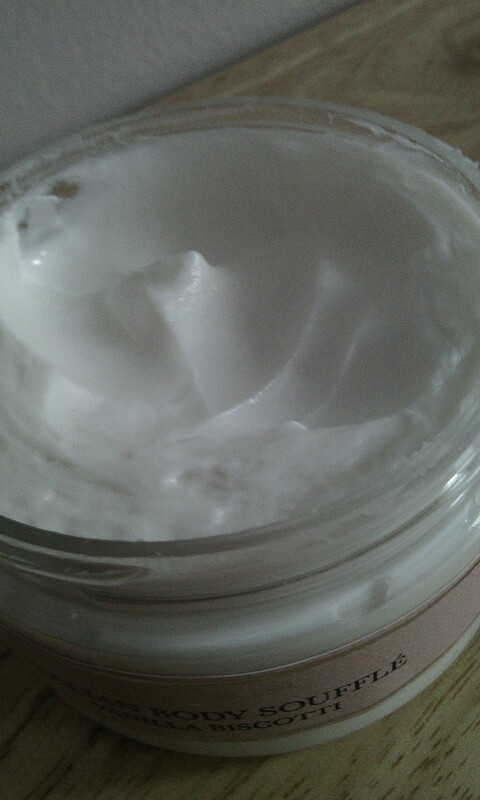 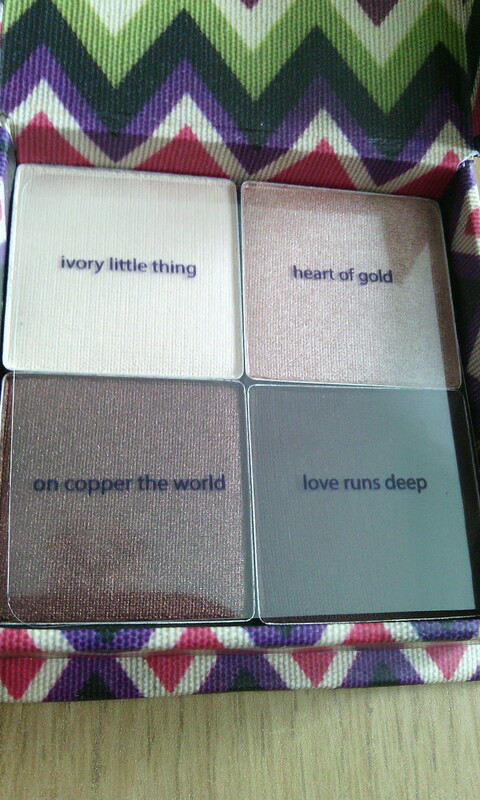 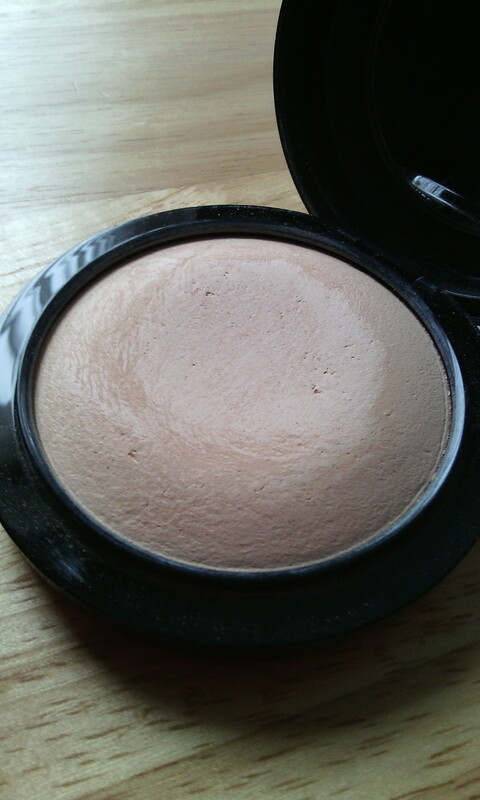 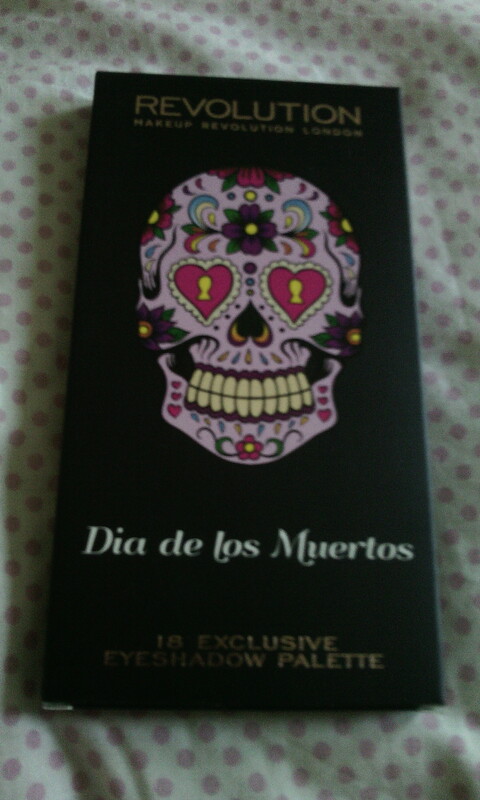 I use this to apply my MAC Mineralized skin finish. 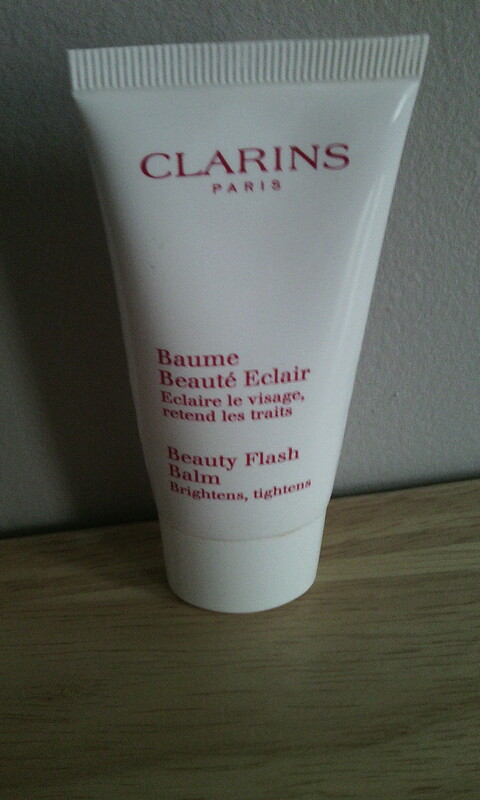 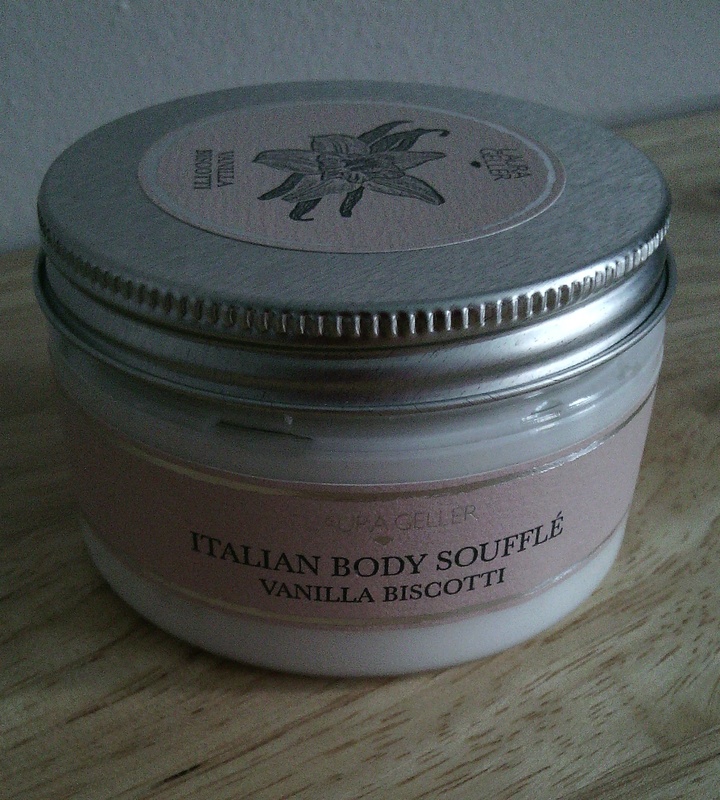 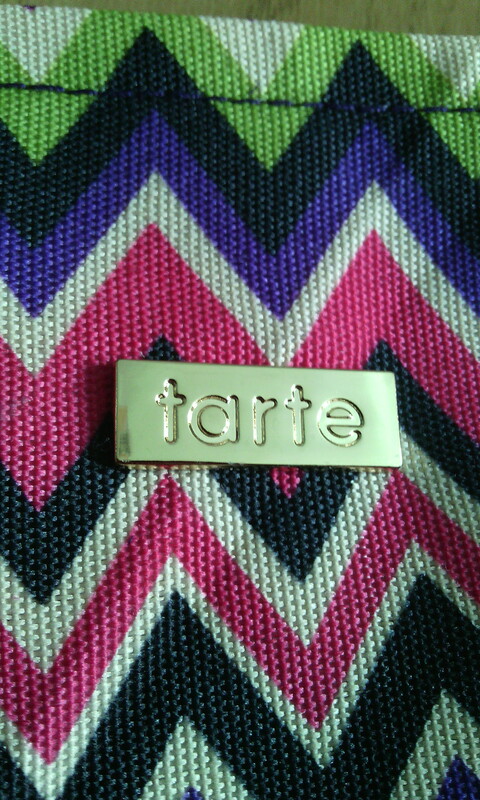 It’s lovely and soft and big enough to use over the neck and décolletage. 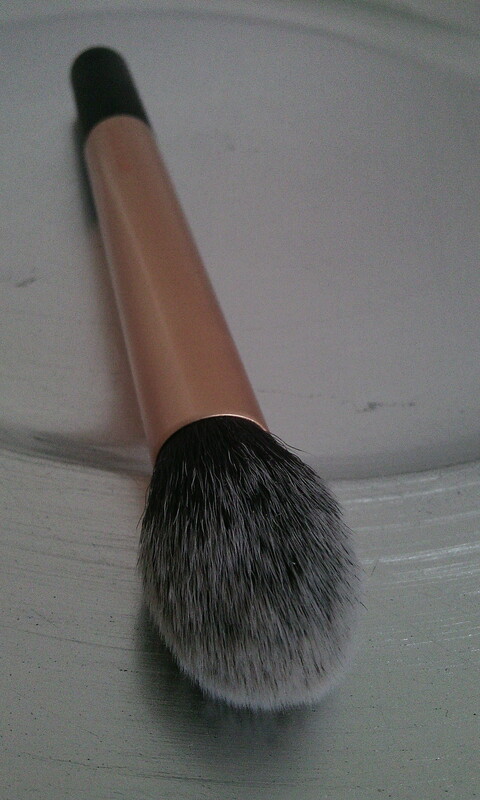 This dual-fibre brush is so multipurpose, I can use it to stipple on foundation, cream blushes & highlighters and gives a HD and airbrushed effect. 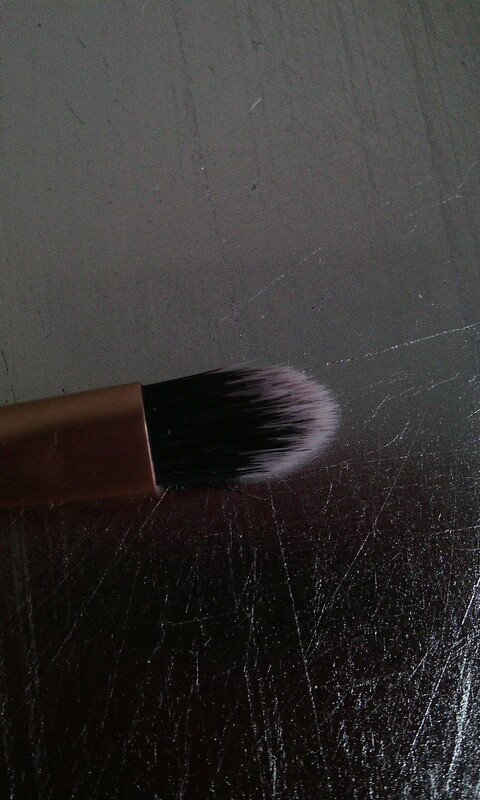 The stipple effect gives a lighter/less coverage look compared to the buffing or expert face brushes. 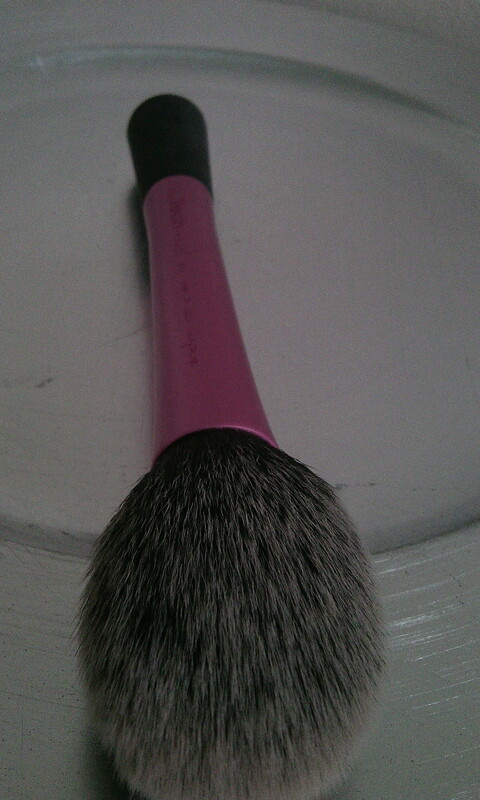 My favourite out of all the brushes, I use this probably everyday. 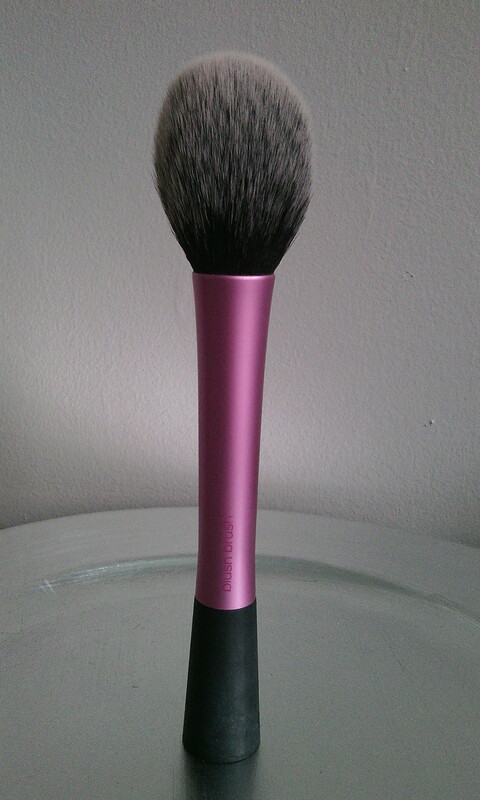 The ‘Egg shaped’ brush head is perfect for applying an everyday powder, blush and light contour look, gives a very natural look. 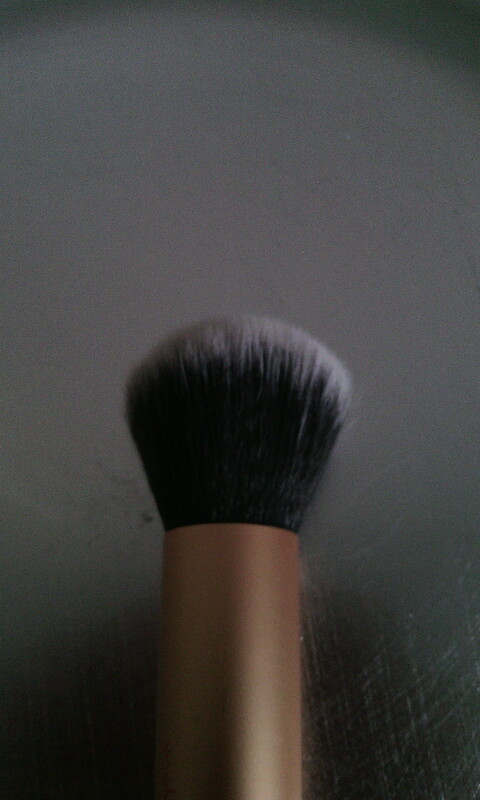 This is very similar to the Buffing brush only more rounded and a little more dense. 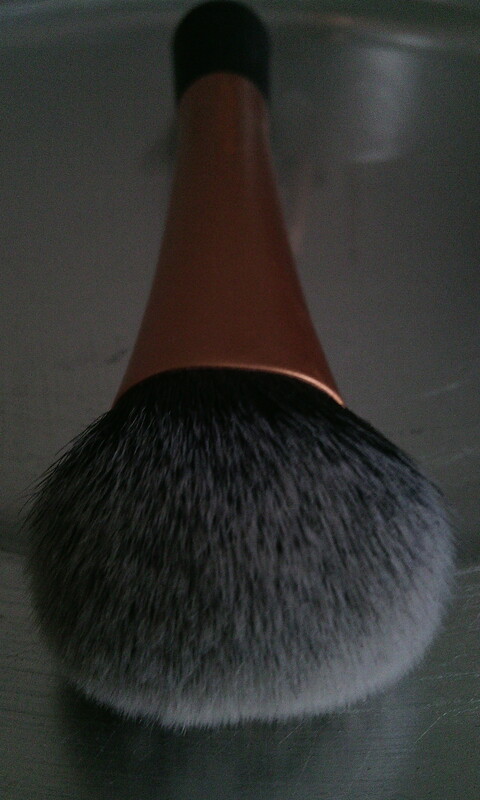 I use this the same way as the buffing brush.